ART JOURNAL PAGES are almost finished, last time I blogged about these pages they were just finished backgrounds ready for journalling on. 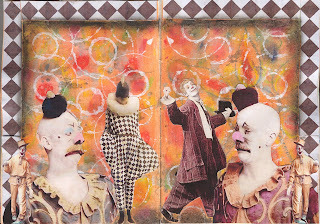 This is a Zetti journal page, have alway loved teesha moore's zetti art. 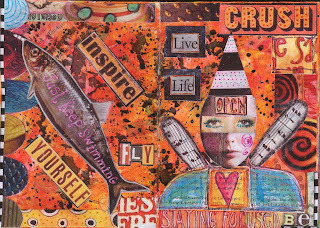 Collage images are by crowabout you can get them from her etsy shop.